I never would have thought I would see the day that Dell would release two products in the same calendar year that has garnished accolades from many tech pundits in the industry. There is the newly released Dell XPS 13 and Dell Venue 8 7000 .Both of these devices won the best tech innovation award CES 2015. Lets direct our focus on the new tablet. As a tablet owner which is the iPad Mini I've always stated that Apple just gets it right in both design and hardware. Sure we have other alternatives like the Nvidia Shield and the Samsung Galaxy Tab,both pretty decent tablets. But when it comes down to winning over the general mainstream consumer,its the iPad all the way.Then we have the Dell Venue 8 7000 series. The new Dell Venue 8 7000 in my opinion is by far one of the most strongest competitor to the Apple slates I ever seen thus far. Just look at what you get with the new Dell Venue 8 7000 and why I think it strongly rivals the iPad. 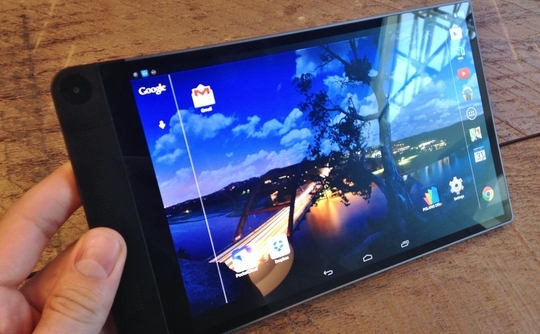 You get what is considered to be the thinnest tablet on the market. It has a nice slim compact design weighs a bit more the Samsung Galaxy Tab at just 0.67 pounds. The tablet measures 8.4-inches and barely have an existing bezel,with an exception of a thick bezel on the bottom of the tablet. In the hardware department,the Dell Venue 8 7000 is pretty much standard in to what you'll likely see in any impressive tablet. It encases an Intel Atom Z3580 2.3GHz quad-core processor, the Imagination PowerVR G6430 GPU,2GB of RAM,16GB of internal storage, you get an amazing 512GB of expanded microSD card slot storage. The OLED screen puts out 2,560 x 1600 pixel resolution with 361 pixels per inch which should by the way give you deep blacks sharp and very clear vibrant colors. If you're not blown away by the design and hardware with the Dell Venue 7 8000,then you will most certainly be peaked with interest in the camera technology. The camera technology on this tablet is probably its most standout feature. The Dell Venue 8 7000 is the first of its kind to offer the Intel RealSense Snapshot Depth camera with three cameras in the back of the tablet which in theory should get you a great deal of image information. What makes the camera technology within the Venue so unique is its ability to self-edit captured images with the Dell Gallery editing photo app.Not sure if the camera features within the Dell Venue is enough to entice me to take pics with a tablet which can be rather awkward,but it is the first tablet of its kind to offer more in camera technology. So as you can see you get a lot with this Android based tablet ( Android KitKat 4.4 that is), the Dell Venue 8 7000 will probably lead many die-hard tech pundits like myself into purchasing this tablet,while mainstream consumers will more than likely still gravitate to the iPad. 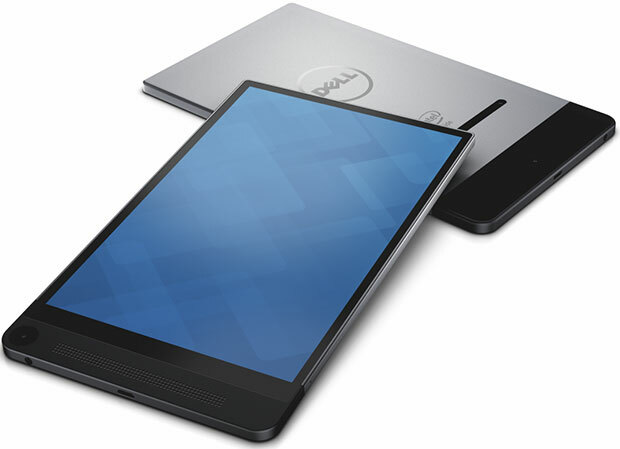 I plan on getting this the Dell Venue 7 800 so expect an pending review.